Come monsoon rains or winter chills, the Indian bellies are always craving for piping hot fried food. The diet conscious however try hard to resist crispy potatoes and potato sticks but can’t control the cravings. Worry not as Kenstar and Philips bring revolutionary Oxy Fryer that help you enjoy your favourite snacks without the guilt factor. Now you can buy Kenstar Oxy Fryer at Rs 7990 from Flipkart which was first available on Billion Day Sale is back with a Bang Bang! 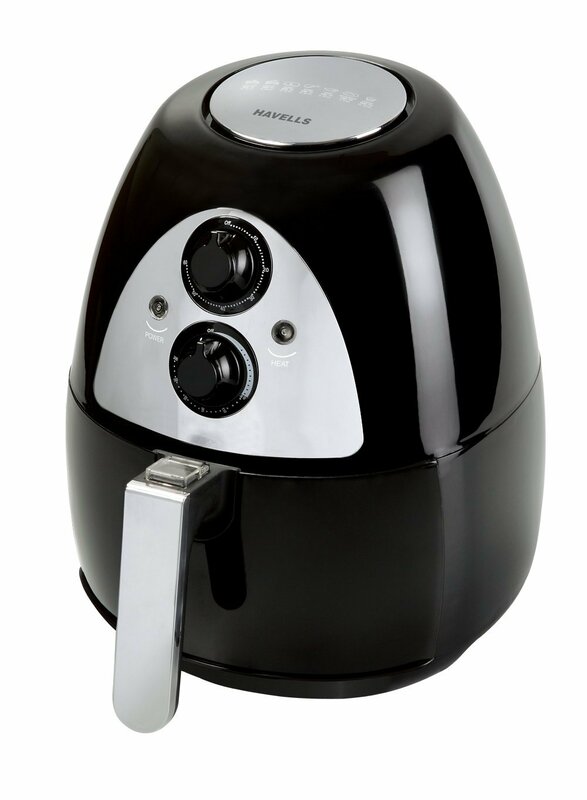 This amazing Kenstar Oxyfryer offer is now available at the cheapest price in the market. How to buy Kenstar Oxy Fryer at deal price of Rs 7990? Click here to go to the Flipkart Store Page. What is unique about Oxy Fryer method of frying? Simply put, they use air instead of oil to fry, bake, roast and grill snacks. This makes the food healthier and full of nutrition since there is 80% reduction in cooking oil. The cholesterol levels are naturally kept in check which gives you and your loved ones the ticket to enjoying healthy and tasty food. Certified by Amity Institute Of Food Technology for providing lesser calorie content as compared to traditionally cooked recipes, Kenstar Oxy Fryer is a healthy alternative to gobbling snacks. The procedure to use Oxy Fryer is so simple that it can be used by even youngsters. All you have to do is open the fryer tray, load food, set the time and temperature and let the air do the cooking. a. Large Food Basket: The food basket provided comes with a large capacity of 3 Litres that helps you fry large portions of food with total ease. b. Timer: No need to kill time while the frying is happening in the Oxy Fryer. The timer provided has a range of 0 to 30 minutes along with auto-power cut function that boosts frying with efficiency and safety. c. Temperature Setting: Equipped with a temperature bandwidth of 80°C to 200°C, you can set the temperature to your frying needs. d. Hidden Handle: The Oxy Fryer is not only a time-saving kitchen help, it also comes with a hidden handle that can be pulled out in order to carry for outdoor trips. No doubt, it is style that’s sleek and user-friendly. e. LED Indicators: To indicate power-on and heating-on, the Oxy Fryer comes with 2 LED Indicators for custom-friendly experience. f. Auto Shut-Off: The auto-power cut function ranges from 0 to 30 minutes which means safety is top of mind. g. Power Cord: The Oxy Fryer comes with 1.2m long power cord that helps you place it to your convenience. h. Air Outlet Vent: To keep the kitchen odour at bay, the Oxy Fryer comes with an air outlet vent. This healthier way to cooking can be bought online from Flipkart, Amazon and retail shops as well. It’s an amazing product. To know how it functions check their website. 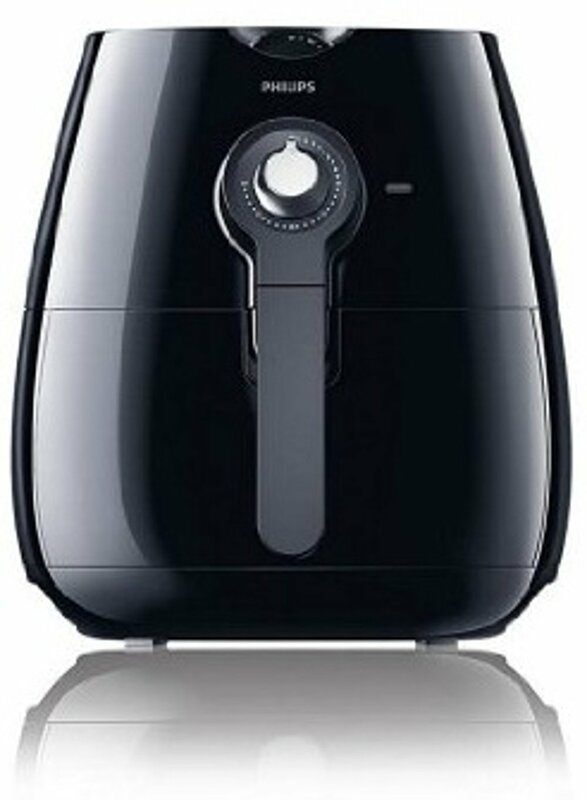 http://www.oxyfryer.com. They also have an easy to use App by the name of OxyFryer. I wd like to no how it works , on gas or electric ? I wd like to no how it works . On gas or electric ? Its electric…and quite easy to use!! Anyone used this product ? Hows the built quality ? It is better than / as good as Philips ? A very useful product, thanks to this article I never knew such a thing existed, will definitely go for this soon.